San Francisco, CA - April 8th, 2015 - Fiilex, a leader in LED lighting for the broadcast, film, and photo industries, announces the release of two new lighting kits, the K303 and K304. Both of these three-light kits showcase the P2Q Converter, a powerful fresnel modifier for the P360 and P360EX. "We are always searching for ways to give adventurous photographers and filmmakers cinematic-style lighting without sacrificing portability," says Brent Siebenaler, Brand Manager of Fiilex. "With these two kits, users will have a versatile tool for building and throwing a lot of light from just three extremely lightweight fixtures." The K303 features three color tunable P360s for a 1050W total equivalent output, as well as three P2Q Converters designed to mount to the front of each light. The P2Q Converter uses a 5-Inch Fresnel Lens to intensify the center lux an incredible 8x, focusing the beam angle from 65° to 14°. The combination of the lights and the fresnel lenses delivers a soft light/ hard shadow look that is ideal for achieving cinematic light quality. 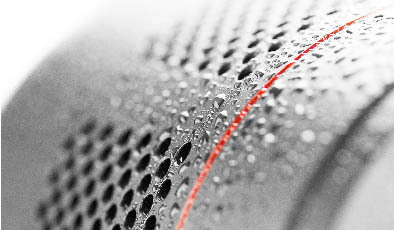 The K304 is the weather-enhanced, DMX-ready version of the K303. Ideal for on-location shoots, the K304 features three durable P360EXs. These color tunable LED produce 20% more output than the standard P360s, offer IP-24 rated weather-resistance, and are DMX-compatible. The K304 generates a 1200W total equivalent output, and includes three P2Q Converters to increase the center lux 8x, focus the beam angle down to 14°, and throw light astonishingly far. The K303 is available now from dealers throughout the U.S., Canada, and Europe. This kit includes three P360 color tunable light heads, P2Q Converters, 90W-AC/DC Power Adapters, Size 3 Barndoors, Light Stands, and a durable Travel Case. The U.S. retail price is $3,349.00. The K304 is available now from dealers throughout the U.S., Canada, and Europe. 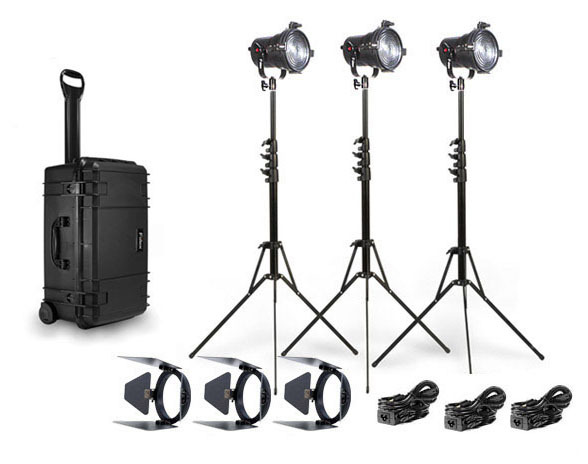 This kit includes three P360EX color tunable light heads, P2Q Converters, 90W-AC/DC Power Adapters, Size 3 Barndoors, Light Stands, and a durable Travel Case. The U.S. retail price is $3,949.00. For a complete list of dealers and accessories, please go to www.fiilex.com.